Epson L800 reset tool download : Epson L800 is one of the best Photo Printer from Epson family. Epson L800 is an integrated ink tank system, it gives high volume prints at the lowest cost. Epson L800 printer needs maintenance after regular printing, commonly Epson L800 printer shown 'Service Required' error. Here we are providing a best solution for this problem. 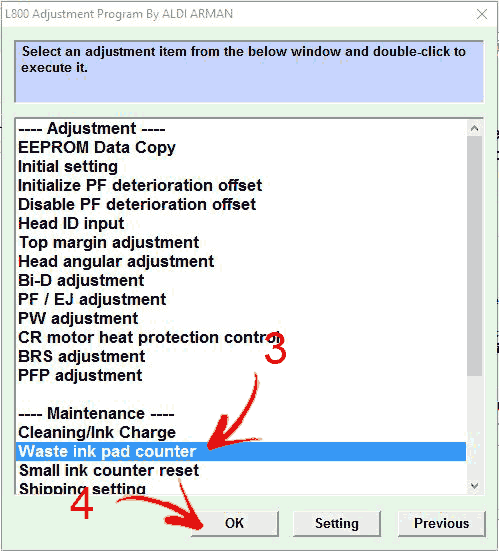 You can download the Epson Resetter tool from here and rectify that problem. 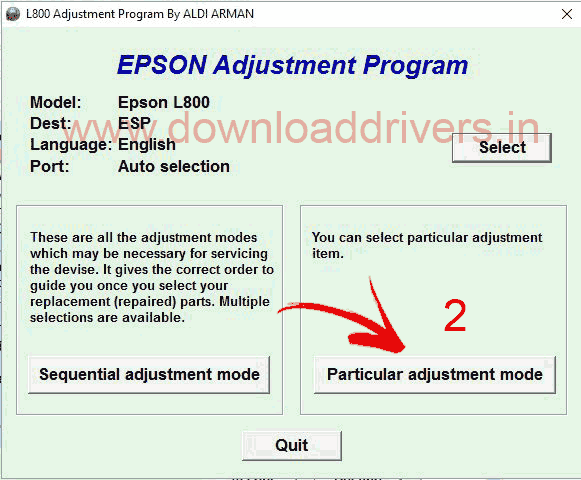 The Epson L800 adjustment program is a chip reset tool, through this program will can erase printer counter. 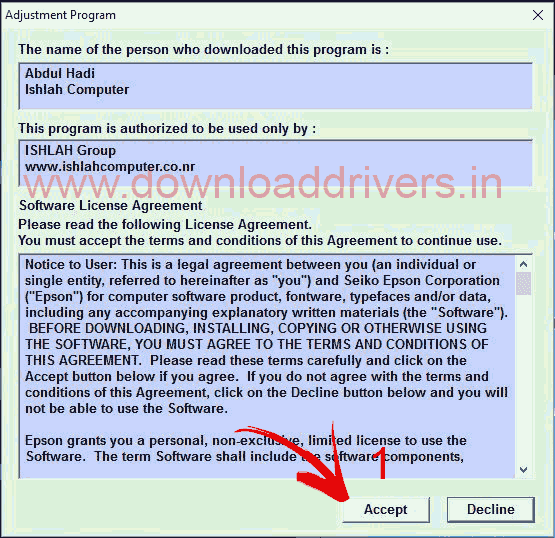 First of all, you should download Epson Resetter tool from the above link. Then open 'AdjProg' application file and click on 'Accept' button. Select "Waste ink pad counter"
Tick mark on the "Main pad counter" and Platen pad counter" then click on "Check" button. After checking counter and click on in "Initialization" button. 22 Responses to "Download Epson L800 resetter"
Apologize for the inconvenience. Currently we have updated the Epson L800 resetter software link. Hello Sir. I deeply need your help. Epson L382 Adjustiment program. Thanks in advance. Is there any way to get EPSON L805 resetter ?